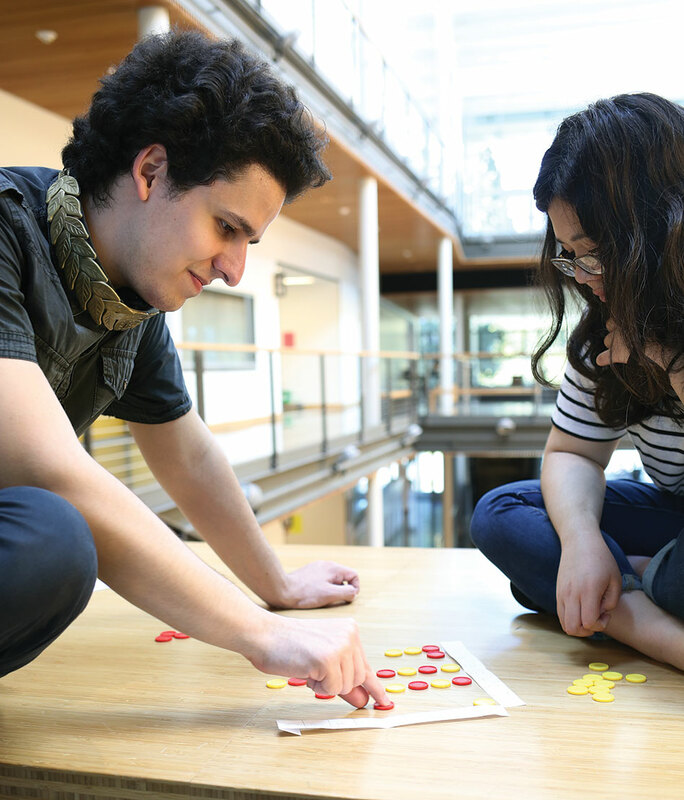 Florin Feier ’17 contemplates his strategy against Alicia Toshima ’17 in a game of Disconnect Three. In 1913, the German mathematician Ernst Zermelo posed a radical question about games like chess. Was it possible, he asked, to devise a perfect strategy that would guarantee victory—or at least prevent defeat—before the first move was ever played? His answer, surprisingly, was yes—at least in theory. And while no one has come remotely close to finding an unbeatable strategy for chess, researchers have “solved” several simpler games—including nine men’s morris, baghchal, and even checkers, which was cracked in 2007 after 18 years of intensive computation. 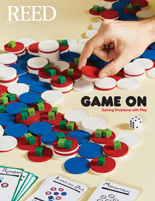 Florin invented Disconnect Three as an exercise last summer while he was leading a summer camp on game theory for high school students. He quickly realized that Zermelo’s theorem should apply to the game. But could he actually find the foolproof strategy? When playing a game, most people start with the opening position and work forwards—that’s how you win, after all. Florin did the opposite. Using the technique of backward induction, he looked at final positions and made inferences about the moves that must have led up to them. Armed with this retrograde reasoning, he worked backwards to figure out how the first player can always win. And although the game is usually played on a 4 x 4 board, his strategy works for a board of any dimensions. Clad in T-shirt, black pants, and a five-o’clock shadow, Florin spills a dozen red and yellow plastic disks onto the table at the Paradox Cafe and invites me to make the first move. In theory, this means I can force a win. But theory only goes so far, especially when you don’t know what you’re doing. I launch a bold central attack—surely a good idea! As we talk, Florin challenges my premature foray with a diabolical pin. After a few more moves, my position has become precarious. I risk a flanking maneuver, but Florin counters with a devastating forking movement. My position is toast. But I’ve learned something valuable: sometimes it makes sense to think backward as well as forward.